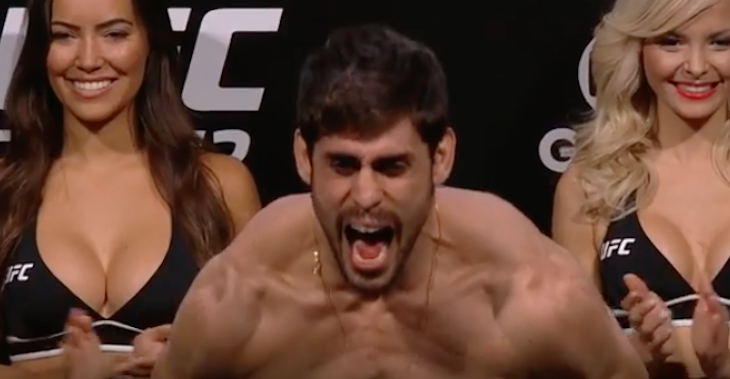 Last night, on the undercard of the UFC’s action-packed stop in Sao Paulo, Brazil, Brazilian Jiu Jitsu ace Antonio Carlos Junior picked up a dominant, first-round submission win over Jack Marshman. While this win dazzled those watching live in Brazil and on screens around the world, it’s just what the Brazilian himself expected. 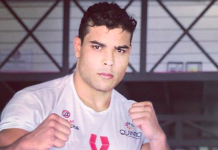 With this huge win in Brazil, Carlos Junior is now targeting a fight with former UFC middleweight champion Chris Weidman. While he admits he’s a big fan of the former champ, he’s hoping to get revenge for Weidman’s many Brazilian victims: Anderson Silva (twice), Vitor Belfort, Lyoto Machida, and Demian Maia. With his win over Jack Marshman, Carlos Junior extended his streak to four-straight, having also recently bested Leonardo Augusto Guimarães, Marvin Vettori and Eric Spicely. His last loss occurred in March of 2016, when he stopped by strikes dealt by Australian judoka Dan Kelly. 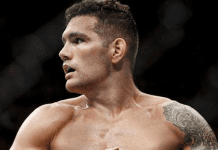 Weidman, meanwhile, recently rebounded from tough losing streak with a submission win over Kelvin Gastelum. 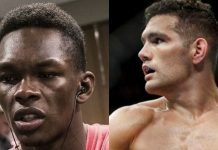 Would you be interested in a fight between Antonio Carlos Junior and Chris Weidman? Join the conversation in the comments section! This article first appeared on BJPenn.com on 10/29/2017.